As defined in the new Diagnostic and Statistical Manual of Mental Disorders (DSM 5), Autism Spectrum Disorder (ASD) is diagnosed in individuals who show differences in social communication—such as a reliance on non-verbal communication techniques or difficulties interpreting social signals—and specific behavioral patterns—such as repetitive vocal or motor behaviors or intense interests in specific items. These characteristics must be evident before the age of 3 in order to quality for an ASD diagnosis1. While there are diagnostic tools that are able to reliably diagnose ASD by the age of 2, most reports show that, on average, children are not diagnosed until school age. These rates vary by several factors, including race and urbanicity2. For many professionals, this delay in diagnosis is concerning because, as the Centers for Disease Control and Prevention3 and most other autism professionals stress, early identification and diagnosis leads to early intervention which leads to better outcomes for many children and families. Finding innovative ways to identify autism earlier in life is a goal for many researchers, including a group of professionals at the Marcus Autism Center4. 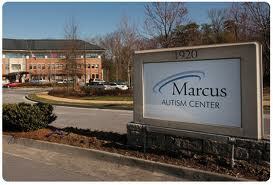 Marcus is a well-known research and clinical facility in Atlanta that is affiliated with Emory University, Children’s Healthcare of Atlanta, and Autism Speaks. In 2010, renowned autism researcher, Dr. Ami Klin, became the new director of Marcus and brought much of his research and clinical team from the Yale Child Study Center along with him. This team has been working on cutting edge technologies to identify autism-associated traits in infants and toddlers. 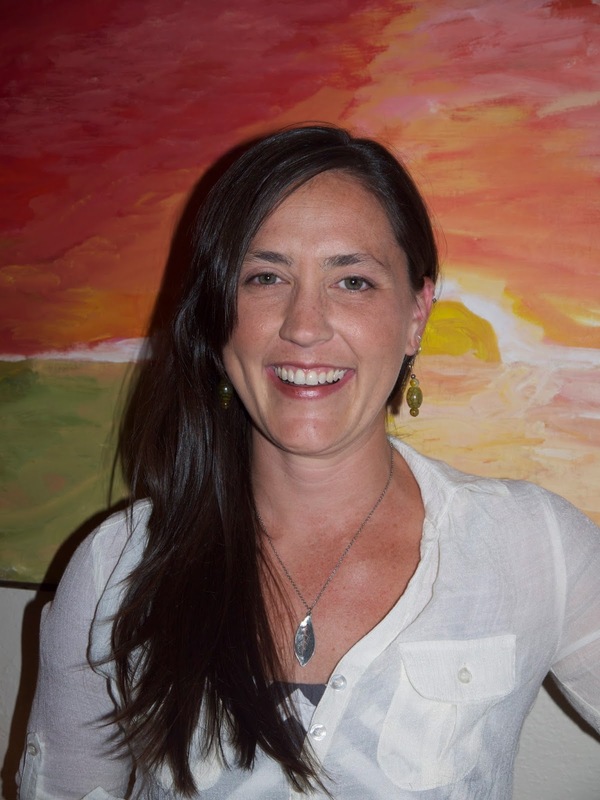 In particular, they are using eye tracking technologies and vocalization software because, as their previous research has shown, very young children who eventually become diagnosed with autism show differences in their looking and vocalization patterns. Specifically, this research shows that children, adolescents, and adults who prefer to look at objects, rather than people, and at mouths, rather than eyes, in social situations are more likely to be on the autism spectrum than those with the opposite pattern. These patterns in looking are associated with vocalization patterns. Previous research has shown that autistic children prefer to look at items showing physical and acoustic synchronicity. This means that when looking at faces of people who are talking, autistic children prefer to look at the mouth probably because mouths, unlike eyes, move in time with verbal sounds. Mouths, however, provide much less social-communication information than eyes and so may influence a child’s social-communicative development. This different way of learning language—that is, through physical rather than social contingencies—may contribute to the delay in verbal language development often seen in autistic children5. The researchers and clinicians at the Marcus center are interested in correlating eye tracking and vocalization techniques over the first few years of life to determine if there is a strong correlation between infant and toddler looking and vocalization patterns with later autism diagnoses. With this information, it is hoped that early screening tools can be developed and widely used to identify as early as possible the likelihood that a child will later be diagnosed with autism. 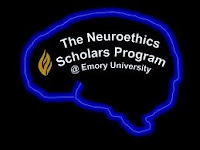 As the 2013-2014 Neuroethics Scholar, I will be working closely with both the Marcus Autism Center and Center for Ethics to explore ways to communicate autism ‘risk’ to caretakers if and when this technology becomes widely used. To do so, I will be observing clinical assessments and practices, learning about the eye tracking and vocalization technologies, and meeting regularly with professionals at the Marcus Autism Center. The outcome will be a set of recommendations on how to communicate to caregivers that their child may later be diagnosed with autism in a way that is accurate, realistic, and respectful to families and to the wider autistic community. "While value judgments implicit in risk communication may sometimes be uncontroversial (e.g. that developing cancer is a harm), in other cases, they may be both rationally contestable and politically controversial. As regards to ASDs, there is a need for more nuanced discussions in the sciences as to whether “risk” is an appropriate descriptor for all ASD-related phenotypes. Arguably, the most important value judgement presupposed by risk communication for ASDs is that ASDs are harmful outcomes to be avoided" (2012, p 5)6. The recommendations I will make, including the abandonment of the word ‘risk,’ are somewhat influenced by the concept of neurodiversity. This is the advocacy position which states autism and related conditions are just one of a range of outcomes of human neurological development. Similar to how biodiversity argues that we need to maintain all species for global balance, neurodiversity argues that people with autism and other neurological differences should exist alongside neurotypical individuals. To maintain this balance, autistic individuals should be neither cured nor normalized. I will describe this position in more depth in my next blog post, but it is important to emphasize here that neurodiversity works towards autism acceptance, rather than autism awareness. As such, using a word like ‘risk,’ which is suggestive of highly undesirable outcomes, is inappropriate because many autistic adults greatly value their autistic characteristics and many families find living with autism a rewarding and comfortable experience. In addition to the larger project of the communication of autism possibility, I will also be in contact with the individuals at Marcus who are responsible for redesigning the resource room. This room is available to parents and professionals and contains a wide variety of information about ASDs. For this smaller project, I will be proposing several materials that provide a neurodiverse perspective to be included in the new resource room. While I do not believe it is appropriate to force people to hear about and rely on this perspective, I do believe it is ethical to provide it as an alternative narrative of what autism is and means. The choice to adhere to it in their daily lives remains a personal decision. This project will provide an important base for future projects on the ways we talk about and represent autism to providers and families. It is unproductive to begin communication about autism with a veneer of fear and hopelessness. Instead, providing factual and realistic information in clear and palatable formats is paramount to empowering families to make well-informed decisions about their child’s life and can lead to better family-provider relationships. American Psychological Association, (2013). Diagnostic and Statistical Manual of Mental Disorders (5th ed.). Arlington, VA: American Psychiatric Publishing. Daniels, Amy M & Mandell, David S. (2013). Explaining differences in age at autism spectrum disorder diagnosis: A critical review. Autism, doi: 10.1177/1362361313480277. See the “Learn the Signs. Act Early” campaign by the CDC here: http://www.cdc.gov/ncbddd/actearly/index.html. Jones, Warren, Carr, Katelin, & Klin, Ami. (2008). Absence of preferential looking to the eyes of approaching adults predicts level of social disability in 2-year-old toddlers. Arch Gen Psychiatry, 65(8): 946; Klin, Ami & Jones, Warren. (2008). Altered face scanning and impaired recognition of biological motion in a 15-month-old infant with autism. Developmental Science, 11(1): 40-46; Klin, Ami, Jones, Warren, Schultz, Volkmar, Fred, & Cohen, Donald. (2002). Visual fixation patterns during viewing of naturalistic social situations as predictors of social competence in individuals with autism. Archives of General Psychiatry, 59: 809-814; Klin, Ami, Lin, David J., Gorrindo, Phillip, Ramsay, Gordon, & Jones, Warren. (2009). Two-year-olds with autism orient to non-social contingencies rather than biological motion. Nature, 459(14): 257-263; Rice, Katherine, Moriuchi, Jennifer M., Jones, Warren, & Klin, Ami. (2012). Parsing heterogeneity in Autism Spectrum Disorders: Visual scanning of dynamic social scenes in school-aged children. Journal of the American Academy of Child & Adolescent Psychiatry, 51(3): 238-248; Shultz, Sarah, Klin, Ami, & Jones, Warren (2011). Inhibition of eye blinking reveals subjective perceptions of stimulus salience. PNAS, 108(52): 21270-21275. Yudell, Michael, Tabor, Holly K, Dawson, Geraldine, Rossi, John, Newschaffer, Craig, & Working Group in Autism Risk Communication and Ethics. (2012). 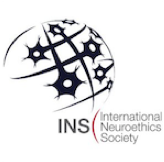 Priorities for autism spectrum disorders risk communication and ethics. Autism. doi: 10.1177/1362361312453511. Klein, S.D., and K. Schive (eds.). (2001). You will dream new dreams. Inspiring personal stories by parents of children with disabilities. New York: Kensington.